ANC, the ABS-CBN News Channel, continues to raise the level of discourse on global issues in the country by bringing one of the most influential women in history, to speak at the ANC Leadership Series this July. 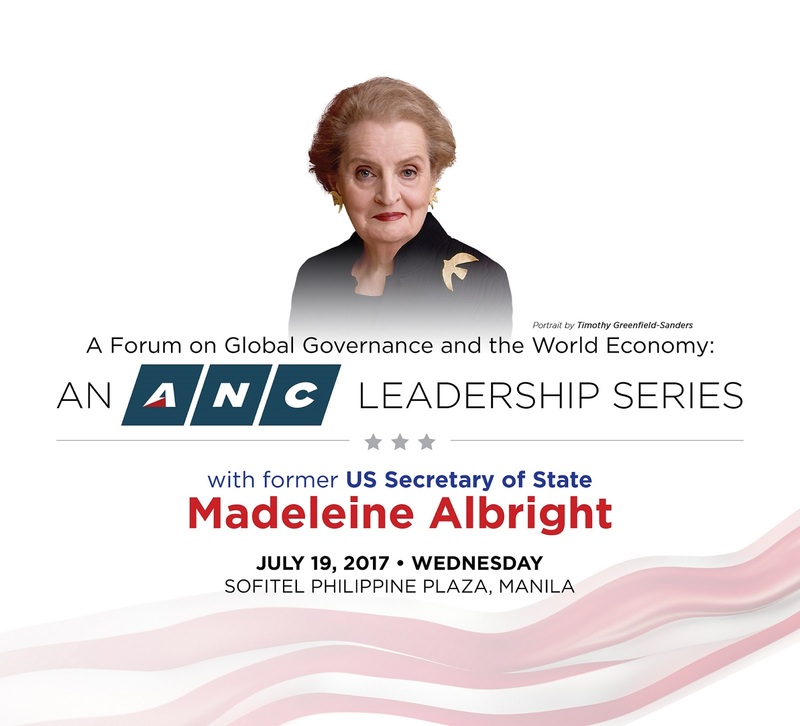 Former US Secretary of State Madeleine Albrightis headlining ANC’s Forum on Global Governance & World Economy on July 19 at the Sofitel Philippine Plaza Manila. 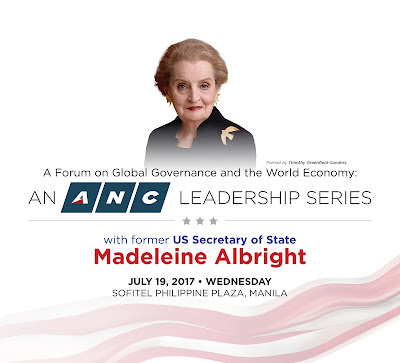 Tickets to “A Forum on Global Governance & World Economy: An ANC Leadership Series” featuring Madeleine Albright are priced at P35,000 and P20,000. For inquiries and reservations, visit TicketNet or TicketWorld outlets or visit their websites at ticketnet.com.ph and ticketworld.com.ph. You may also call911-5555 (TicketNet) or 8919999 (TicketWorld).